After spending a week on an Alaskan cruise, I am slowly getting back to normal. I miss our room steward who came in while we were at breakfast and made our bed and straightened our room. I miss the ease of not having to think and plan for meals! I miss that our stateroom was situated in such a place that we were able to build in walking and stairs into our daily routine and we were able to put on our 10,000 steps daily. I miss the gorgeous scenery and especially wish we could have spent more time in Ketchikan where there were beautiful flowers everywhere and lots to see! I am glad to be home though, and have some ideas for new products for my shop and ideas for new quilts. You'll see more of that over the next few months! I'm not sure if the fabric I bought in Alaska will end up in products for my shop or if I will use it for projects closer to home. Till next time, happy stitching! Linking to Quiltsy WIP Wednesday here. My sewing machine tops the list. I bought this one earlier this year and out of all the things I love about it, the one I miss the most when I'm away from home and using a different machine is the automatic thread cutter! It also has needle up/needle down, a super big throat (that space to the right of the needle), a variety of stitches and a great even-feed system for quilting. Janome 8900. Whatever model you have, learn to use every feature on it and keep it maintained. Clean out the lint, oil if required and send it in for service every so often. Thread snips are a must in my sewing kit. I use them for snipping the ends of threads and sometimes even for cutting a bit of fabric. They are always nearby when machine or hand sewing. A stitch ripper is number three on my list. I don't like to take out seams and will do my best to work around my sewing mistakes, but there are some times when that just isn't going to work. A little frogging (rip-it, rip-it) and I can put the pieces of my quilt exactly where they belong. Fabric! 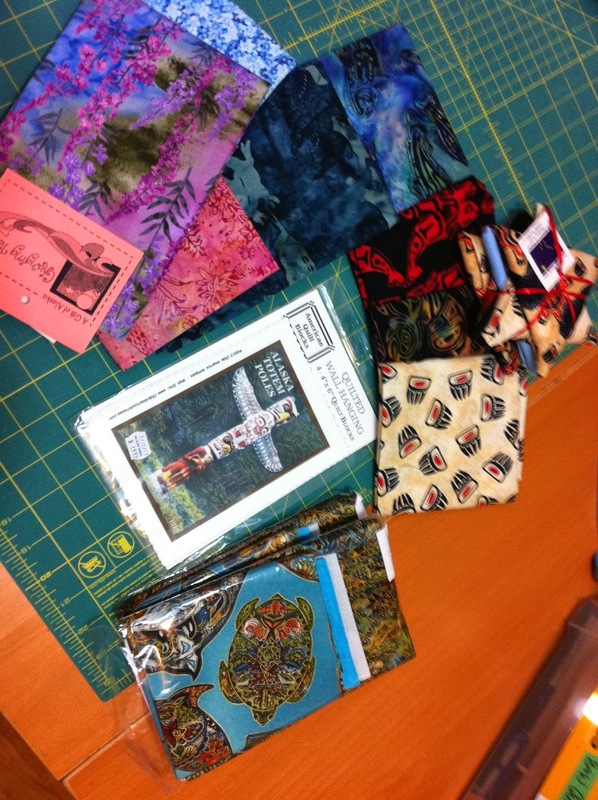 I am slowly adding to my stash of fabric and trying not to let it get away to hoarder status! A variety of colors, prints and solids and I can find something to sew any day of the week without having to run into the local quilt shop. (This is not my fabric, but part of the stash of Carla from "My 1/2 Dozen Daily"
Quilter's rulers - there are many of these available, from the plain and simple 6"x24" to specialty rulers for special techniques. I have a few that I use daily: the 6"x12", 12.5"x12.5" and the 6.5" square. I have found myself reaching more and more for the 15" square ruler and probably will be sure to have it in my carry bag when I go quilt away from home. Inevitably, because I rarely follow a pattern, I will need to do some math to get my quilt pieces to fit together. And along with scraps of paper, I always have a pencil nearby to do my figuring. Another handy tool in my sewing kit is a seam gauge. I don't use it a lot for actual quilt piecing, but I use it a lot in the crafty sewing that gets done along the quilting. If you haven't used yours, maybe it's time to take it out of the sewing box and play with it. I used it to make my tissue covers and credit card cases (over in tutorials). Thread - in particular a light-medium gray thread. It blends with almost everything and saves having to change colors every time I start a new project. 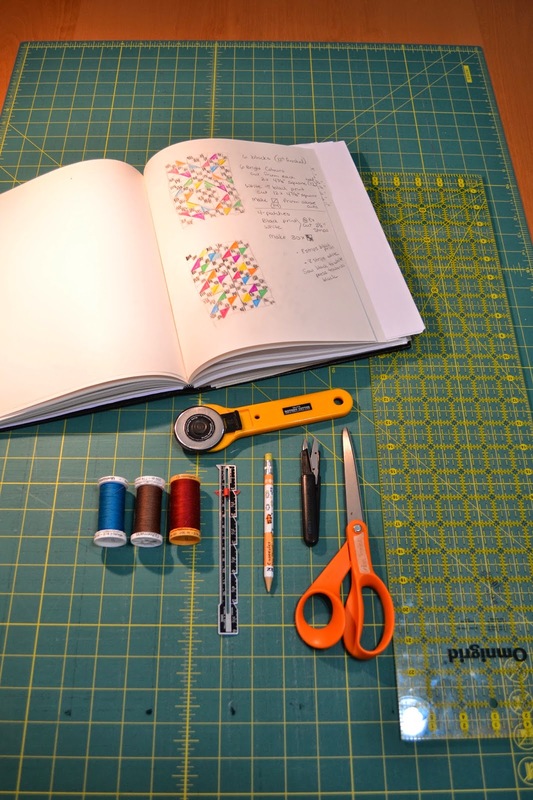 Sketchbook - this is a relatively recent addition to my sewing arsenal, but with all the inspiration around me, this book comes with me whenever I'm away from home for more than a day. For some reason, my aging brain doesn't hold on to things as well as it used to and it's great to have somewhere to quickly sketch an idea so I can refer back to it at a later date. And finally, my favorite tool in my sewing room (and I haven't quite got a portable one figured out yet!) is my design wall. It's nothing fancy, just 2 lengths of white flannel sewn together to cover most of one wall in my sewing room and thumb-tacked close to the ceiling so it hangs flat against the wall. How about you? Do you have a tool or tools you can't live without? We had a little workshop a few weeks ago at our guild and we made some cute little bags to hold lap size travel blankets for in the car or on an airplane. With airlines charging for every little extra, these little travel blankets are the perfect addition to your carry-on luggage. Just slip the strap over the handle on your suitcase and you'll have your own blanket to keep you warm during your flight. These are also great for in the car - just hang behind your seat from your head rest. Then when the driver turns up the A/C and you just want to turn up the heat, you can unroll this blanket and everyone is happy. The blanket is just a light weight polar fleece blanket about 42" x 60". 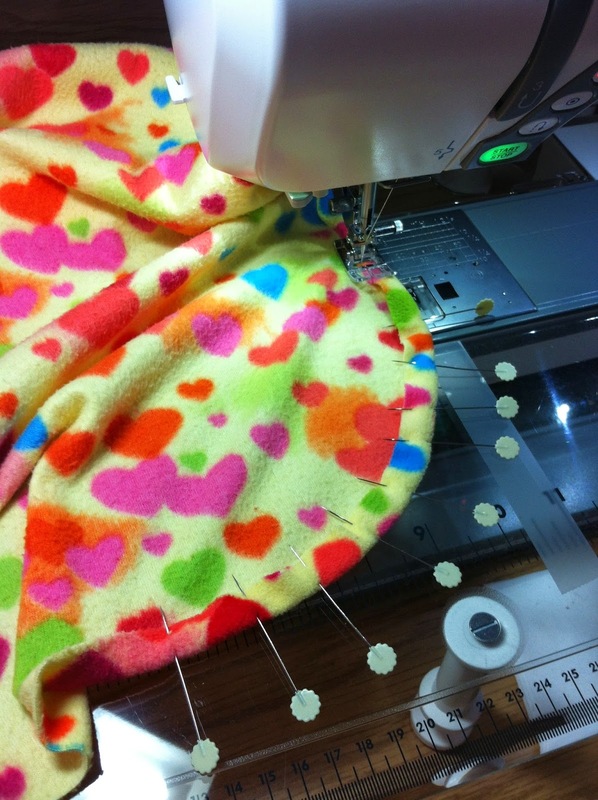 Fleece doesn't fray at the edges, so just cut to size or finish with a simple 1/2" folded over hem. I rounded the corners on mine. The carry case is made from 2 fat quarters of fabric and a strip of Velcro to keep it in. I made these for my grand-daughters for this Christmas! I know, it's way too early to think about Christmas, but I know from experience that I need to think about it earlier rather than later if I want to include handmade. I love to travel! And sometimes it seems just a little unfair that my sweet husband, who is very much a homebody, gets to travel with his job. 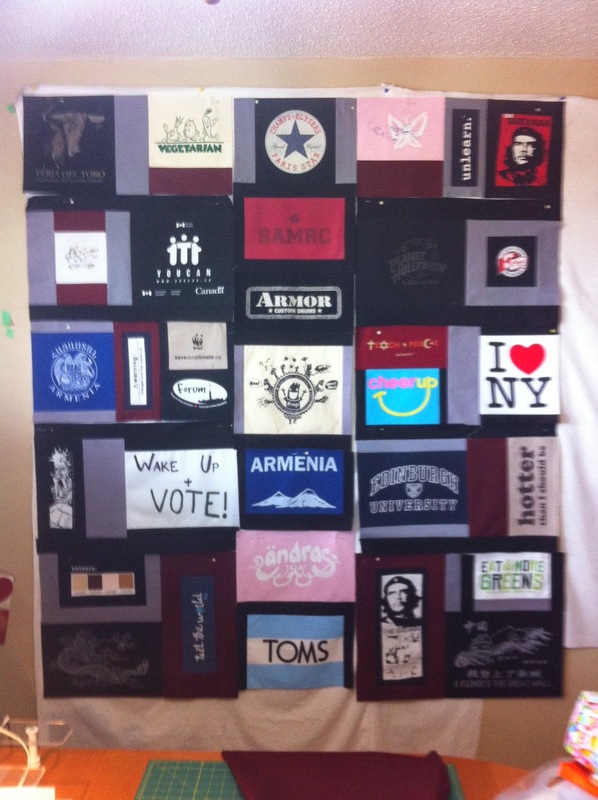 And I have been having some twinges of envy of my friend, who's travels have resulted in a collection of T-shirts that she's asked me to make into a quilt. As I piece, I imagine what it might be like to be in London, Paris or the Great Wall of China! After backing the T-shirt logos with light-weight interfacing, they were cut out and placed on the design wall to find the best layout. Because pieces weren't all the same size, pieces of black, gray or deep burgundy were added to bring them all together. There's no border - just a plain black binding to pull it all together and a lovely deep gray flannel for the back - perfect for snuggling on a cold winter's evening or for watching fireworks on a cool summer night! How about you? Do you love to travel? What destinations are on your bucket list? And do you have a collection of souvenir T-shirts stashed away somewhere? Springtime! Let the Growing Begin! When the sun starts to shine a little brighter and the grass turns green and the leaves start to pop open on the trees, I like to be outside in the yard and garden. There's something about spring and garden planting that makes me think about hope and new life and promises kept. Something about planting a seed and knowing that by itself, it's just a small, dry piece of nothing. When it's planted and the sun shines on it and the rain waters it, it swells and grows into exactly what it was meant to be - a pumpkin, a pea plant, a carrot. Sometimes it looks like there is nothing there, but then a bit of green pops up, a flower blooms and then it's gone again for the rest of the season like this yellow lady's slipper. 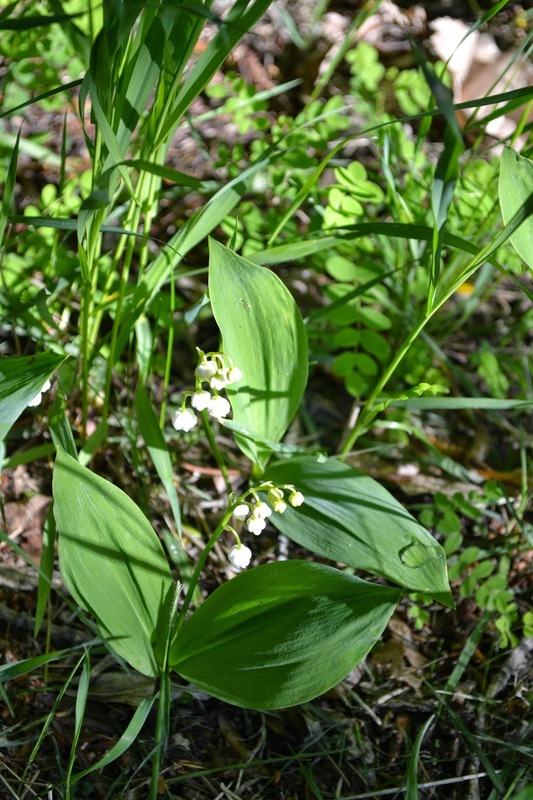 Others look small and delicate, like the lily of the valley, but they are persistent and will slowly spread over a large area if not contained. 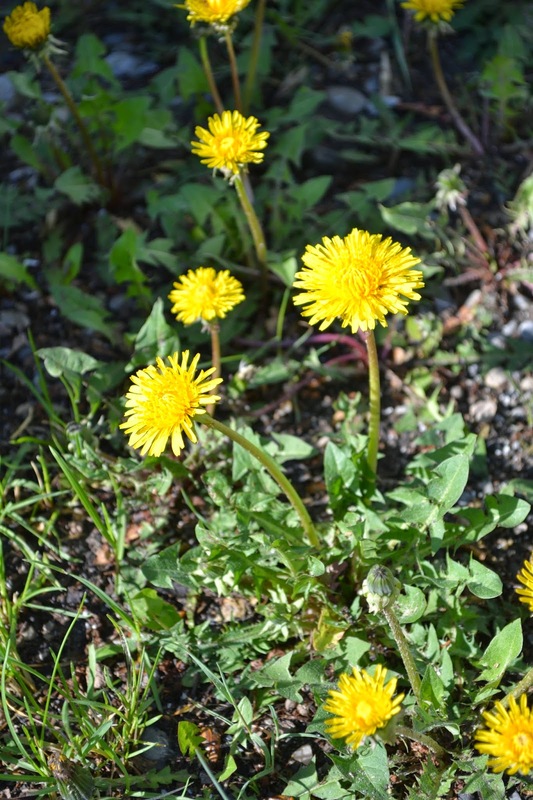 And then there's the so-called weeds, like the dandelion, that are their own little rays of sunshine and if we can put aside our preconceived notions about them, we can open our eyes up to see the beauty even in the unwanted. As I look around my yard, in my garden and in the nature that surrounds us, I see the hand of the unseen creator and am thankful for the gifts of spring and hope and new life.